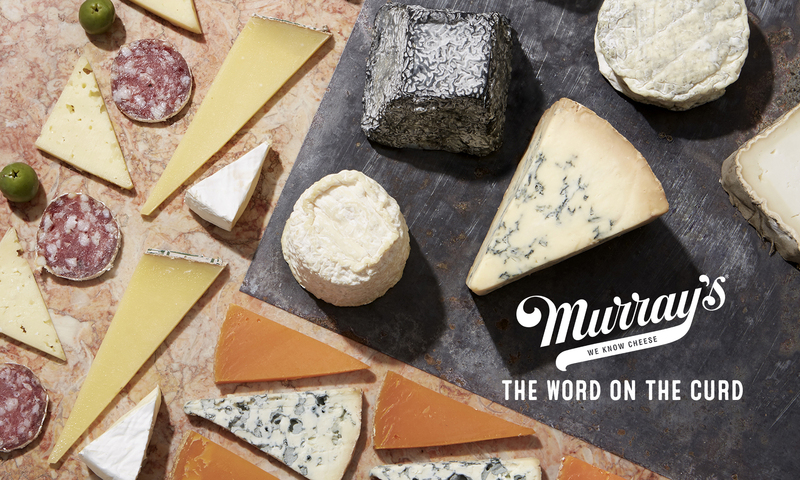 Aaron Foster works in the Buying Department at Murray’s Cheese and is always on the hunt for the next delicious experience to share with our customers. This year Aaron attended the American Cheese Society conference to learn about what it takes to make the nation’s best cheese, and to taste a few dozen himself. As a first-time American Cheese Society Conference attendee, I honestly didn’t know what to expect. I’ve worked in cheese for over 9 years, but somehow I’d never actually made it to the main event. The conference is a moving target, one year in Louisville, another in Chicago, the next in Seattle, and so on. Having resolved to finally attend, as a representative of Murray’s Cheese, I lucked out with this year’s destination: Montreal. Now, I hear you say… isn’t it called the American Cheese Society? Indeed, it is. This is the first year that the conference was held outside of the continental US. I’m guessing Canada gets a pass because of a parenthetical “north”, as in (North) American Cheese Society. In any case, I was excited to travel to Montreal to meet some of the great minds of our industry, and to introduce myself to the cheese luminaries whose books I read and whose names have been synonymous with American dairy since before I was born. I arrived in Montreal late in the evening on my birthday, August 3rd, and joined the crew from the Cellars at Jasper Hill for dinner. Part of what is so amazing about the conference is that it pools together cheesemakers, retailers, distributors and enthusiasts, to share their views and insights with one another. Dining with the cheesemakers from the Cellars, I was able to explain how their cheeses are received by actual people, customers who buy Bayley Hazen Blue or Cabot Clothbound Cheddar from our cheese counter. It’s almost silly to imagine, but cheesemakers rarely interact with the people who are eating their cheese most of the time. On the flip side, we as retailers and cheese consumers often don’t fully understand the challenges and work that happens at the farm. The American Cheese Society conference is made up primarily of lectures, seminars and panel discussions which happen throughout the day. Some are very technical, geared towards cheesemaking minutiae. 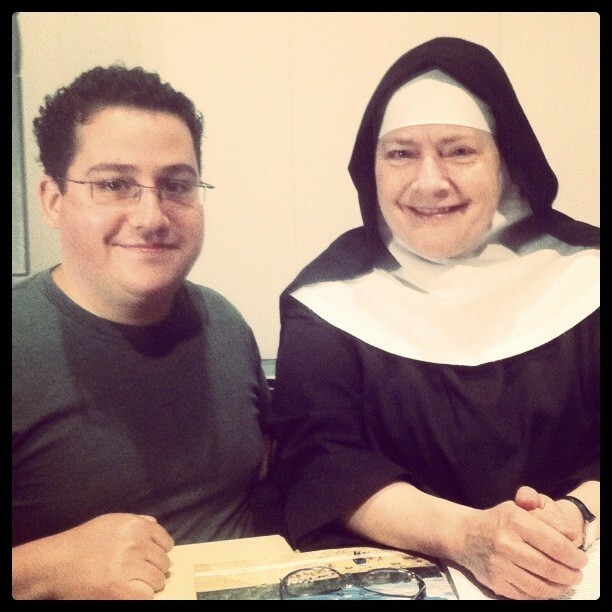 Others are historical or cultural, say – the history of monastic cheese in the US. And still others concern themselves with issues of regulation and safety. As a retailer and a diehard cheese-lover, I made sure to attend as many different seminars as possible. I started with a lecture on starter cultures… the beneficial microorganisms added early in the cheesemaking process to help acidify the milk and develop flavor in the cheese. Suffice it to say the bulk of this talk was way over my head, but I took away two points – that cheesemaking is usually more science than art, and that even small variations or inconsistencies can make for wild variations in the end product. 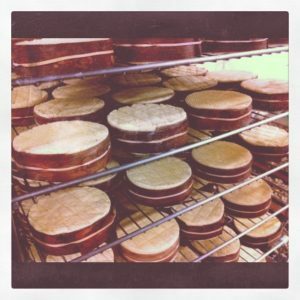 Cheesemakers need to keep extraordinarily detailed records of their process, and need to replicate that process to the T; a make at 92 degrees F might yield a cheese with perfect texture and depth of flavor, whereas a make at 88 F could result in a cheese that’s barely recognizable. I don’t envy cheesemakers – that’s a pretty narrow margin for error. I attended another talk on food safety from farm to fork. From a food safety perspective, cheese is a relatively safe, although perishable, product. But from cow to cheese vat to aging room to distributor to wholesaler to retailer to consumer, a given piece of cheese passes through many hands. We all have a duty to take every precaution to ensure the safety and preserve the quality of the cheese. My next seminar was a tasting workshop, on identifying flavor in cheese. It’s not as easy as you think! We practiced by tasting candy while holding our nose. What tasted only sour and sweet with our noses pinched was actually a very strong mint once we could smell again. This exercise was meant to demonstrate how much taste is actually a function of smell. We also smelled covered containers of six different scents, and had to guess what they were. I got three out of six (butter cookies, black pepper, onion powder), but missed a gimme like sauteed mushrooms. The point is that we unwittingly depend on visual cues to help categorize what we’re smelling and tasting, and to be more conscious of this when evaluating flavor in cheese. But the best talk I attended was on the microbiology of cheese rinds, called Growing Mold Gracefully. Led by cheese rockstar Sister Noella Marcellino of Connecticut’s Abbey of Regina Laudis and Harvard microbiologist Rachel Dutton, the panel treated the diversity and complexity of micro-biomes in cheese rinds. The rind of a cheese is an exceedingly complex conglomeration on molds and bacteria that exist in a delicate and unique symbiosis. Every cheese in every batch is different; and while cultures may be added to guide rind development, Rachel and Sister Noella agree that the influence of indigenous microrganisms is far more important. Rachel is using state of the art gene sequencing techniques to develop a taxonomy of organisms found in cheese rinds. She has already discovered that cheese rinds exhibit some species that have also been found in Arctic sea ice, Norwegian fjords, and Etruscan tombs! The conference ends, as always, with a tense announcement of the winners of the cheese contest, punctuated by the Best in Show award. This year, there were 1,676 entries across 99 different cheese categories. I certainly don’t envy the judges for their tasting duties… the judge who tasted the least amount of cheese still tasted nearly 100 varieties. This year, Rogue River Blue from Rogue Creamery in Central Point, Oregon took Best in Show. A lovely leaf-wrapped, raw milk blue, this seasonal beaut of a cheese will be available from Murray’s in a few short weeks. And finally, comes the Festival of Cheese – the attendees’ opportunity to taste the myriad entries, and to get a true lay of the land for the American cheese industry. I probably made it through 50 different cheeses before giving up… perhaps I’m not quite fit to be a judge yet. All in all, the American Cheese Society conference was a fascinating and rewarding experience, enormously valuable to cheese professionals and enthusiasts alike. I won’t miss another one any time soon.